In the previous activity, the main characteristics of energy systems worldwide were described. To improve our understanding, we now elaborate the ‘systems thinking’ concept. You will soon see that its purpose and utility is to improve your understanding of energy systems, no matter their complexity. “A system is defined as a “structured assemblage of elements and subsystems, which interact through interfaces. The interaction occurs between system elements and between the system and its environment.” ” (Asbjørnsen, 1992) . From this definition it may be seen that everything around us can be framed as, or is part of a system. In nature we may distinguish many a system; the Earth is a system, which constitutes the Atmosphere, Biosphere, Hydrosphere and Lithosphere (the Earth’s crust). Each of these subsystems has a unique set of processes and components. They are linked and they interact, e.g. 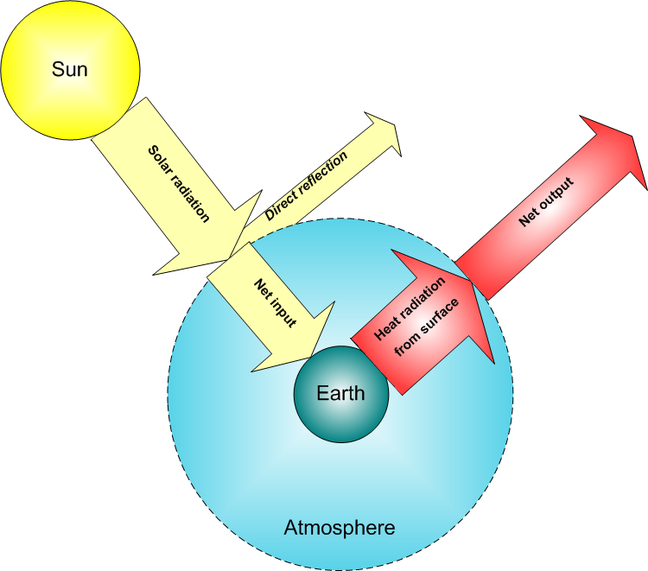 through water cycling between the hydrosphere and atmosphere – evaporation from the oceans, cloud formation, rainfall and run-off via rivers and the subsurface (lithosphere), and through respiration of plants (the biosphere). Figure 1. The earth is also an energy system, with its inputs, outputs and transformations. Not only living species, but also dead ones are systems composed of subsystems. This also goes for humans and our society. It is thus useful to make a distinction between types of systems – a natural system, a social system, a knowledge system, a ‘man-made’ physical system. Energy systems often consist of a combination of these; indeed, in many a case they may be described as socio-technical systems. An example of an energy system is a national electricity grid. The grid has many technical components and links between them (substations, lines); interfaces with its environment are inputs – electricity fed-into the grid from electricity producers and from interconnector lines bringing in power from abroad – and outputs (transmission losses as heat to the natural environment, electricity to consumers, export). The grid is linked to a social system, which consists of companies, citizens, government agencies, markets etc. This social system uses, manages and develops the grid. Another example is a solar-PV system. This consists of the solar panel(s) on your rooftop and a power converter. In case you are not connected to an electricity grid, it will include a stack of batteries. The input to the system is solar radiation; the output is electric power for your home devices. In this case, the social system includes you, the panel supplier and service providers for installation and maintenance. Figure 2. A solar-PV system representation, with different components (numbered 1 to 6). The input here is solar radiation, the output to the grid is electricity. Since everything is, or is part of a system, you can probably imagine links and interaction of the electricity grid with many other systems. Again, this interaction occurs through interfaces over the system boundary. In any energy systems analysis, it is key to determine the system’s boundary and its inputs and outputs across that boundary. 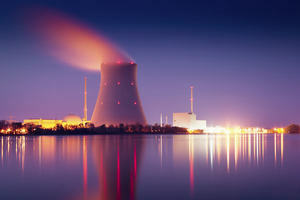 A coal-fired power plant, for example, constitutes the facility that takes in coal, air, limestone and cooling water, while its outputs are flue gas containing CO2, electricity and heat carried with the output cooling water. Other outputs are fly ash and gypsum from flue gas cleaning, and bottom ashes. If we draw our system boundary around the plant’s furnace, the inputs are again coal and air; the outputs are flue gas and heat, carried by high-pressure steam. Figure 3. A coal-fired power plant, represented as a system with many in- and ouputs. Note that components are not displayed, which would make the representation much more complex. The inventory of inputs and outputs of your system allows you to consider system running cost and benefits. These may be in financial terms, but the inventory may also point you to harmful emissions from the energy system and withdrawals from the local environment – such as cooling water. The identification and description of the energy system components may lead to a first idea of system cost – energy systems represent substantial capital stock. 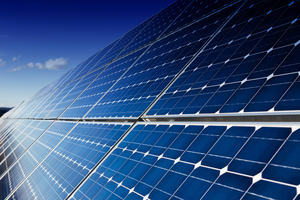 A solar-PV system, for example, requires solar panels, but also battery-packs or a power converter to connect to the electricity grid. In energy systems analysis you can easily scope too much in your system representation, which may obstruct your or others’ understanding of the system analyzed. By thinking in systems, and attempting to present them as an abstraction or simplification of reality, we can improve our understanding of parts of nature, society, technology, and the economy. Representing parts of reality as a systems, it is often easier to obtain a comprehensible overview, identify important links and relationships, assess performance, or in other words to evaluate, develop and improve the things we as humans have some control over. You can make your own energy system representation and share it with your fellow students. You will be invited to share your system representation in step 2.8. 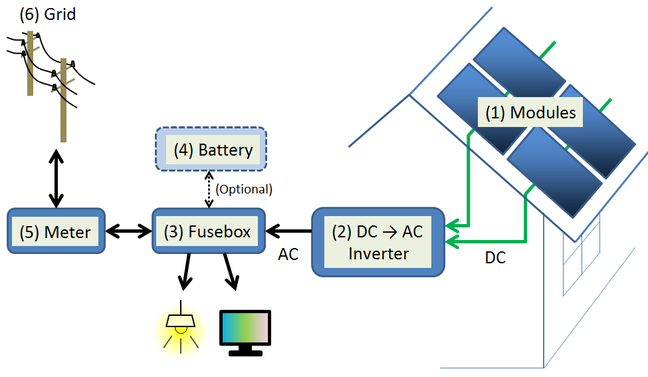 PV-system schematics, taken from Wikipedia. IPCC, 2013. Summary for Policymakers: ‘Climate Change 2013: The Physical Science Basis’.